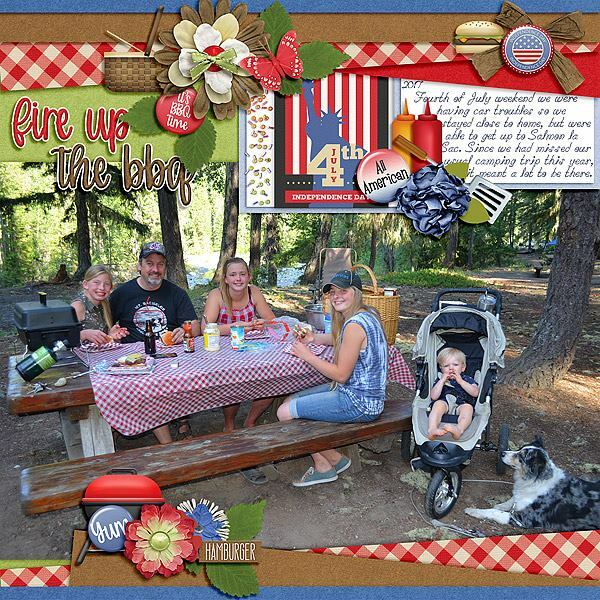 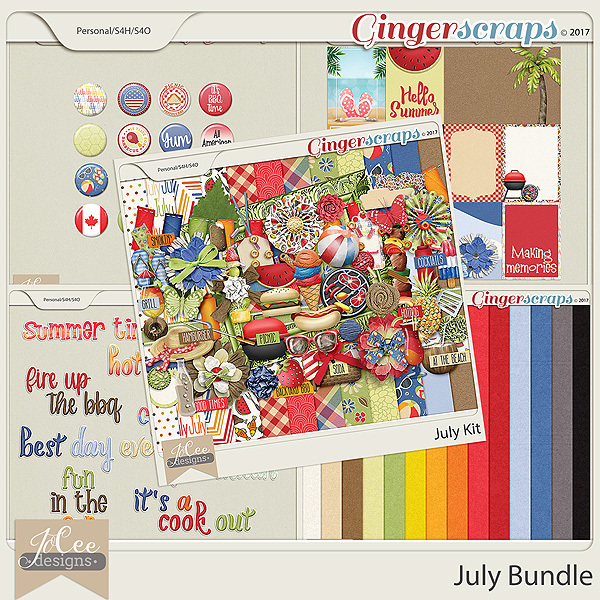 Enjoy backyard bbq's, trips to the beach and so much more with this colourful coordinating set of products in colours from blue, red, oranges, greens, browns and white with a touch of black. 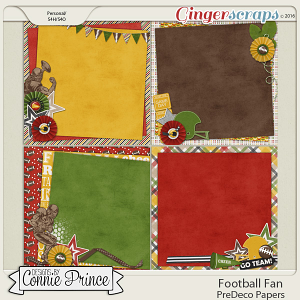 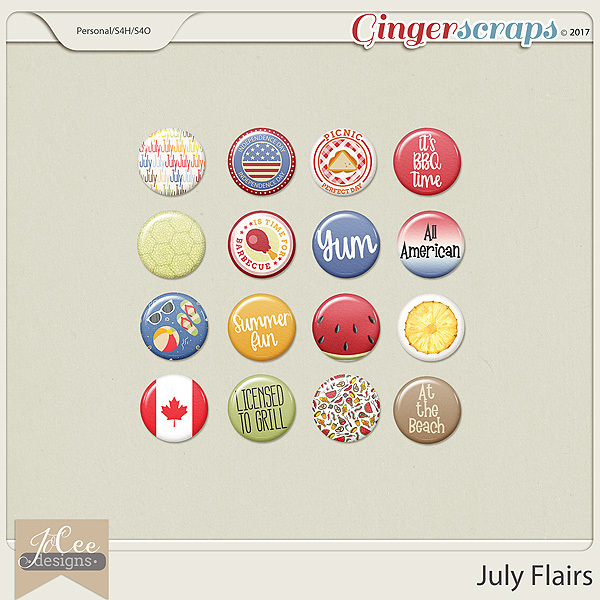 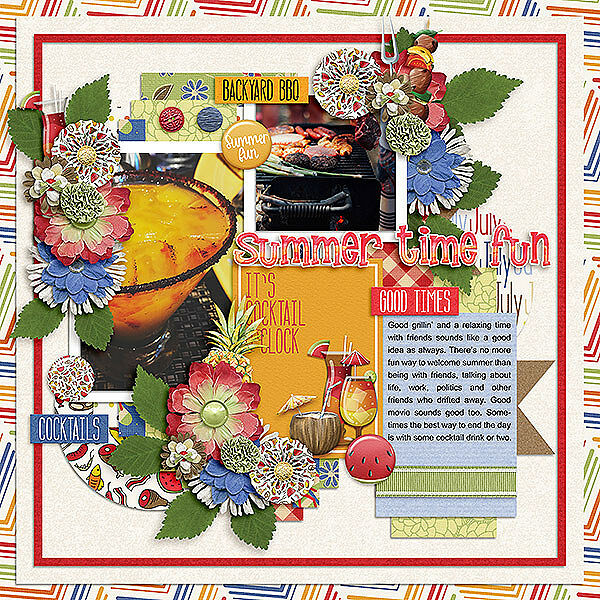 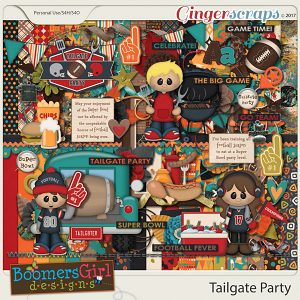 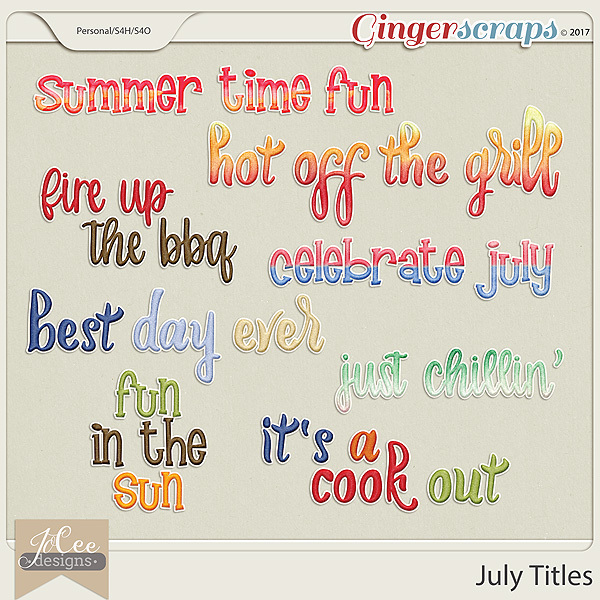 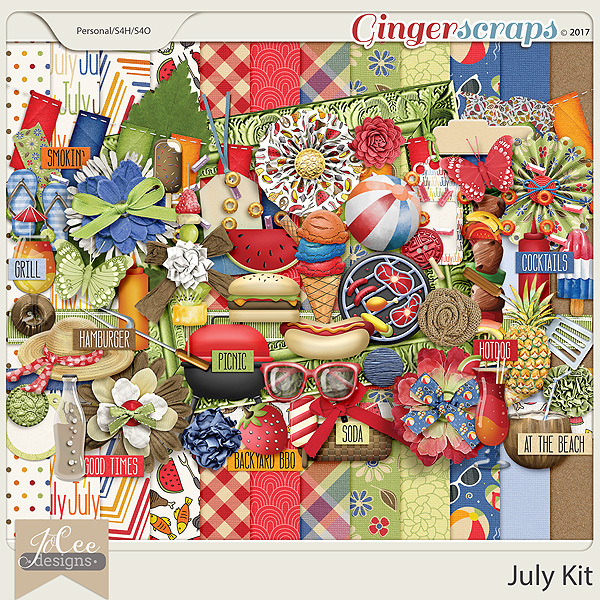 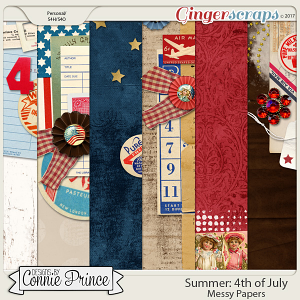 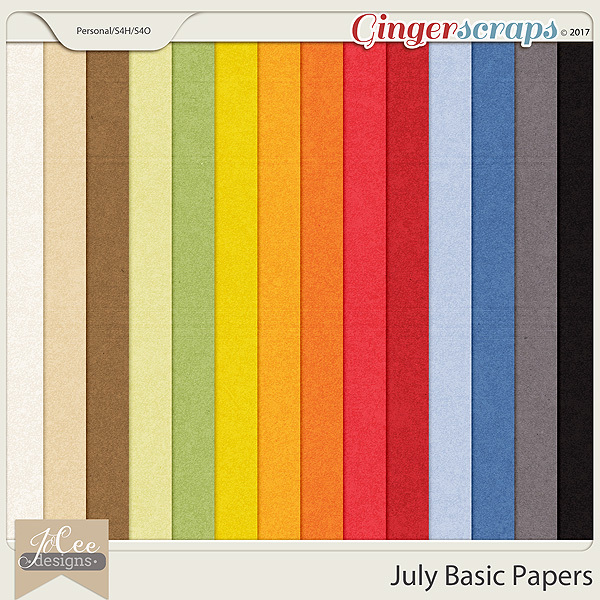 Included in the July Bundle is the July Kit (12 patterned papers and 69 coordinating elements), Journal Cards, Titles, Flairs and Basic Papers. 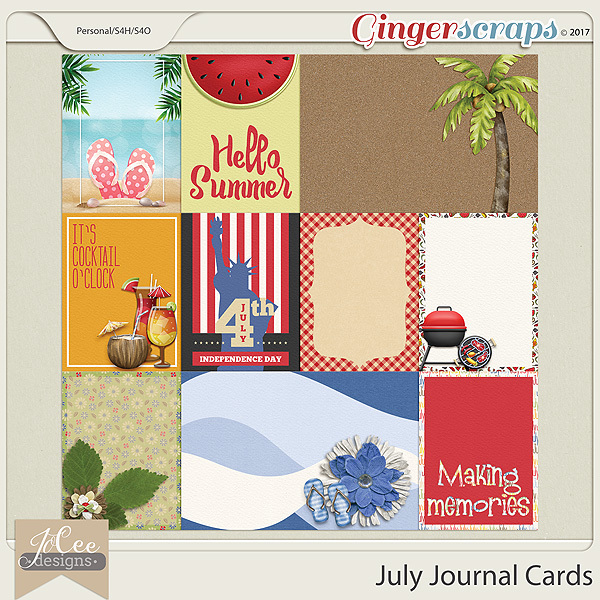 These are available as stand-alone products as well. 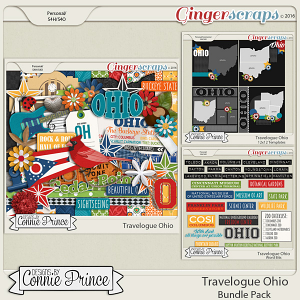 This digital product has been saved in .jpg and .png formats at 300 dpi to ensure high quality printing.